I morphed the colors in Photoshop and cropped it severely to use in The Pedigree of Honey, which I showed you a few weeks ago. So maybe you'll find it useful to have a piece like this in your pile of papers, ready to use for digital or physical collage. 1. Using a wet in wet technique, I covered the entire watercolor paper with the first three colors listed above. 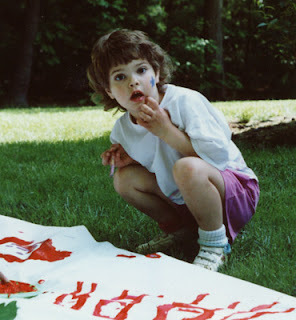 Then I scrunched up waxed paper and allowed the paints to dry with it on top. 2. 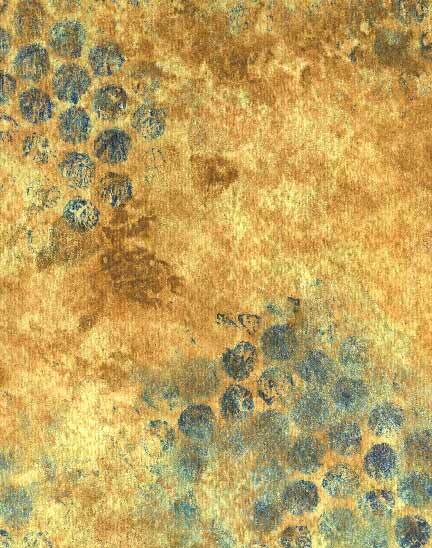 I mixed Phthalo blue and Phthalo green, and applied it with bubble wrap. 3. Add a raw sienna glaze, and before it's completely dry, spray with water and alcohol. 4. 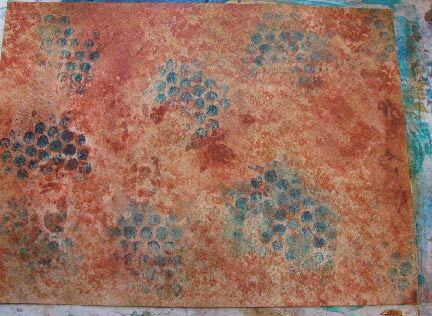 When the piece is dry, go back in and sponge with red oxide and burnt sienna as desired.